If you’re a pitcher, a pitching coach or a parent of baseball pitcher or softball pitcher, you know what it is like to be in a pitching slump. You have no confidence. You have no focus. You can’t find the plate. You are worried about letting your teammates down. You can’t find the plate. And the ball just does not feel comfortable in your hand. And the game is just no fun. Now there is a simple program that will help you to feel better and perform better when the game is on the line. This program will give you some simple tools to become a mentally tough competitor when you step on the mound. Would you like to be calm, confident and focused on the mound? Would you like to throw more strikes and keep hitters off balance? Would you like to have more control of your pitches? Would you like to know a simple technique for improving your mechanics and for being more accurate? Do you suffer from the yips and loss of confidence? Do you get nervous during pressure situations? 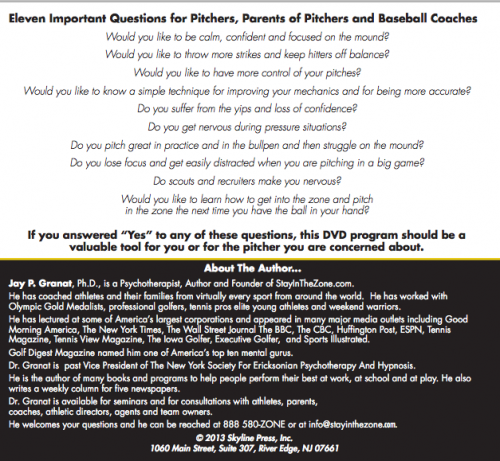 Do you pitch great in practice and in the bullpen and then struggle on the mound? Do you lose focus and get easily distracted when you are pitching in a big game? Do scouts and recruiters make you nervous? Would you like to be able to waste a pitch when you need to so? Would you like to learn how to get into the zone and pitch in the zone the next time you have the ball in your hand? 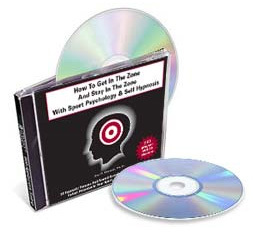 If you answered “Yes” to any of these questions, this DVD program and this two volume CD program will show you how to pitch to your fullest potential. 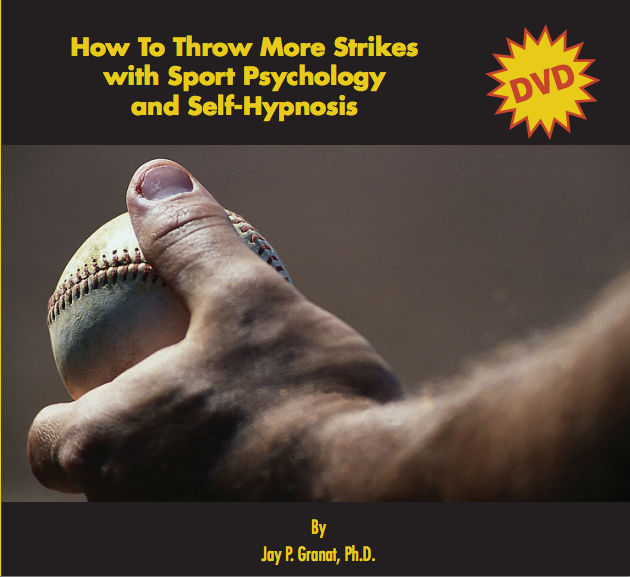 This DVD shows you three simple mental techniques that successful pitchers use to throw more strikes more often. 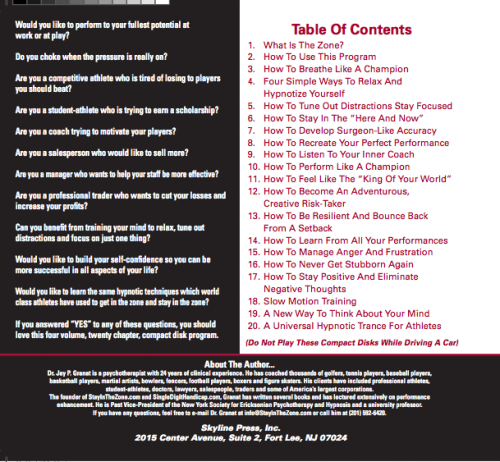 Would you also like to use the same 21 mental techniques that have helped thousands of athletes to get into the zone and stay there? This two volume CD program will show you how to be calm, confident and focused in the bull pen, in the dugout and most importantly on the mound. You can download the chapters to your phone or to your IPAD. Players listen on the bus, in the dugout and before the game starts. You will be ready to play “in the zone” when you step on the field. Dr. Jay P. Granat is a psychotherapist with 24 years of clinical experience. He has coached thousands of golfers, tennis players, baseball players, basketball players, martial artists, bowlers, fencers, football players, boxers and figure skaters. His clients have included professional athletes, student-athletes, doctors, lawyers, salespeople, traders and some America’s largest corporations. 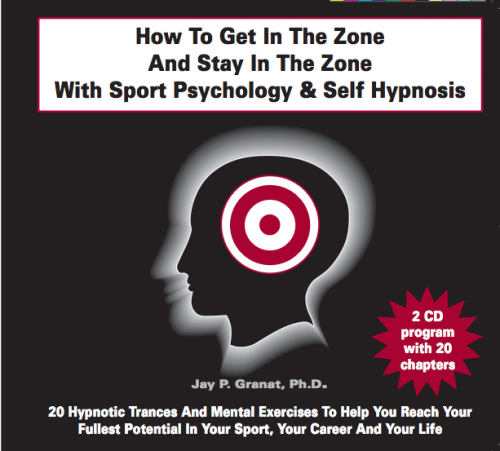 The founder of www.StayInTheZone.com, Granat has written several books and has lectured extensively on performance enhancement. He is Past Vice-President of the New York Society for Ericksonian Psychotherapy and Hypnosis and a university professor. He has been featured in many major media outlets including Good Morning America, The New York Times, The Wall Street Journal, The BBC And Sports Illustrated. Golf Digest name him one of America’s Top Mental Gurus. During my son’s Sophmore year of high school I wrote you explaining that he is a talented basketball player with no confidence. He would not shoot the ball and looked to get rid of the ball as fast as possible when he had it. He began listening to your CDs regularly at bedtime, I wasn’t sure it would help but it couldn’t hurt. My son is now a Senior and was just name MVP of a large tournament that his team won. Through the first 6 games of the season he is leading his team in nearly every area. Coaches and parents have commented to me what a difference they have seen in his confidence.